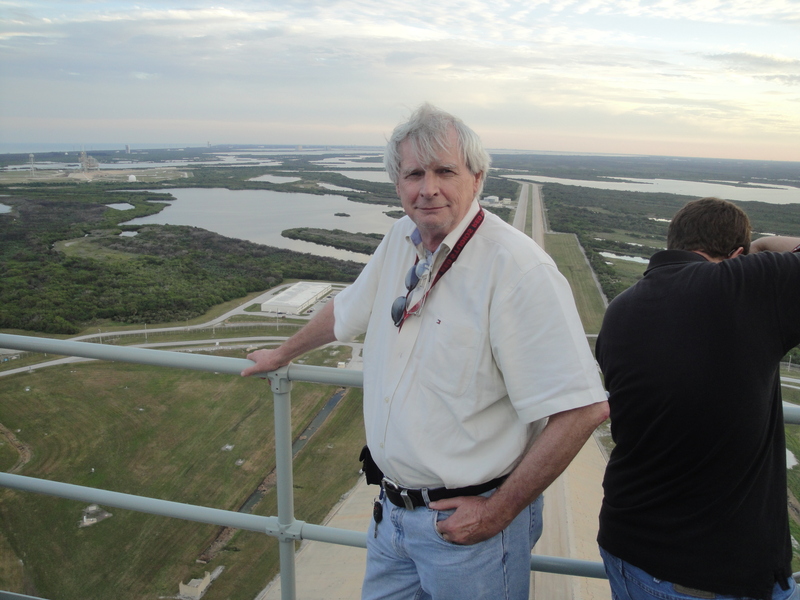 The MSL launch has been pushed back one day from its original launch date. Now the planned launch will be no earlier than Saturday, November 26, 2011. 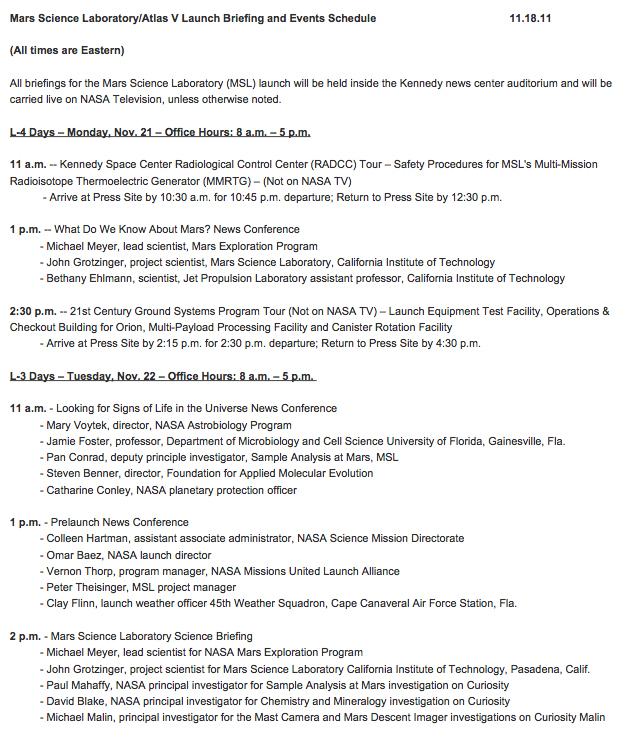 Go to http://www.nasa.gov — then go to live NASA TV using the attached schedule for MSL (Mars Science Laboratory). The schedule for Monday and Tuesday is on the left — click on image to enlarge and read. Why this Mission really matters. This is truly a remarkable laboratory that NASA is launching on November 25, 2011. The briefings will explain (again) why Mars matters so much and discuss the nature of Mars and how it is a huge repository of scientific information that will help us better understand Earth.